NEW YORK (Feb 10): Oil prices rose nearly 2% on Friday after reports that OPEC members delivered more than 90% of the output cuts they pledged in a landmark deal that took effect in January. Supply from the 11 members of the Organization of the Petroleum Exporting Countries with production targets under the deal fell to 29.921 million barrels per day, according to the average assessments of the six secondary sources OPEC uses to monitor output, or a 92% compliance. The International Energy Agency (IEA) — one of OPEC's six sources — said the cuts in January equated to 90% of the agreed reductions in output, far higher than the initial 60% compliance with a 2009 OPEC deal. While the deal has boosted oil prices, Capital Economics analysts said in a note, "we think US production is likely to rebound and that it will be strong growth in demand that will eventually eat into stocks and rebalance the market." Global benchmark Brent crude was up US$1.07, or 1.92%, at US$56.70 a barrel by 10:38am EST (1538 GMT). It touched a session high of US$56.76. 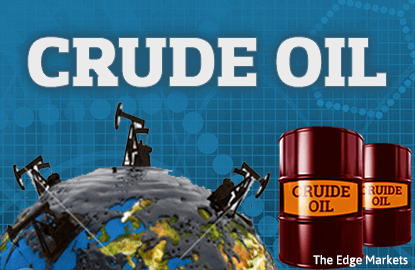 US West Texas Intermediate (WTI) crude futures traded up 99 cents, or 1.87%, at US$53.99 a barrel. Brent was on track for its first weekly drop in four weeks while US crude headed for its fourth straight week of gains. Crude has also benefited from recent strength in gasoline prices as a glut seems to be gradually eroding. Gasoline futures were leading the energy complex on Friday, trading up about 2.2%. The IEA, which advises industrial nations on energy policy, said if current compliance levels hold, the global oil stocks overhang that has weighed on prices should fall by about 600,000 barrels per day (bpd) in the next six months. Nevertheless, producers will probably have to extend the production cuts beyond six months if they want to achieve their goal of balancing the oil market. Weekly US rig count data from Baker Hughes later on Friday will indicate whether drillers are continuing to ramp up activity. SEB chief commodities analyst Bjarne Schieldrop said he expected 198 new US oil rigs to come into action in 2017, with 51 added already this year.